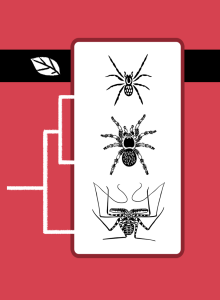 In the Clades game, the arthropods of the land are represented by tetrapulmonates (“four-lungs”), specifically an orb-weaver spider, a tarantula, and an amblypygid. Tetrapulmonates evolved from one line of trigonotarbids, the first arachnids adapted to air-breathing (about 400 million years ago). Orb-weaver spiders and their relatives compose most of Earth’s spiders. They have fangs that point toward each other like pincers, and their ability to capture winged insects in their webs has helped them spread across the globe. Tarantulas and their relatives have fangs that point down, which makes for a weaker “bite”. These spiders create silk but don’t weave webs. Also descended from trigonotarbids are the spider-like amblypygids, whose front legs have evolved into long feelers. These feelers are similar to the antennae that pancrustaceans have, including insects, but obviously they evolved separately. 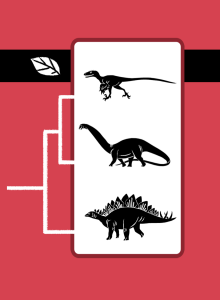 Many types of animals have evolved new uses for their front legs other than walking. What other animals can you think of that have limbs that used to be legs but that aren’t any more? Spiders and scorpions are descended from water-breathing ancestors, not air-breathers. 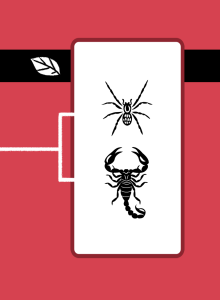 When I first chose animals for the “land arthropod” card, they were a spider, a scorpion, and a tick—all land animals. 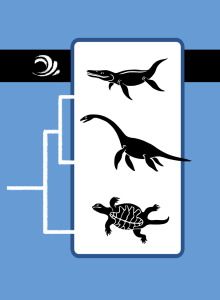 Then I learned that the most recent common ancestor of these three groups lived in the water. 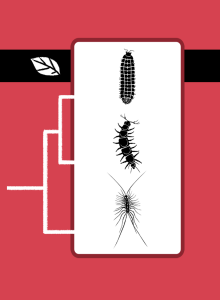 The lines that led to today’s land-loving spiders and scorpions evolved air-breathing independently. I switched from the arachnid clade to the tetrapulmonate clade because in Clades it’s the most recent common ancestor that determines a card’s environment (water, land, or air). US preorders are now available from the game’s future publisher, Atlas Games, for both Clades and Clades: Prehistoric. Preorder here. 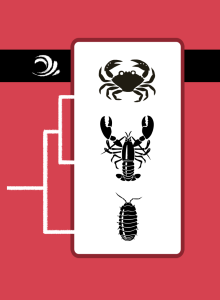 The arthropods of the water are a crab, a lobster, and a woodlouse, together representing the most recognizable branch of crustaceans, the malacostracans. Lobsters and their relatives are distinct from other crustaceans in that mothers incubate their eggs, which are attached to the mother’s swimming legs. 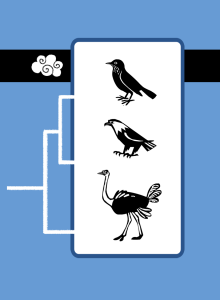 Many other clades are successful because of adaptations that help them take better care of their offspring, mammals included. While lobsters live in crevices or burrows on the sea floor, crabs often live in shallower waters. Many sorts of crabs have evolved some degree of air-breathing, allowing them to take advantage of air’s higher oxygen content suisse acheter cialis. Woodlice still breathe through gills like their water-breathing ancestors, but their gills are adapted for life on land. A woodlouse’s gills stop working if they dry out, and that’s also true for your lungs. Like other crustaceans, malacostracans eat with side-by-side mandibles, quite different from arachnids’ fangs. Other crustaceans tend to be tiny, such as copepods, which often resemble shrimp but are smaller than a grain of rice. 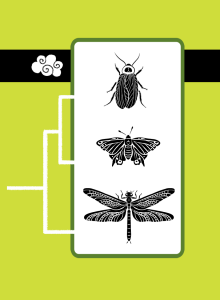 Another successful branch of the crustacean clade is the insects. They were originally classified as a sister group to crustaceans when in fact they’re a daughter. 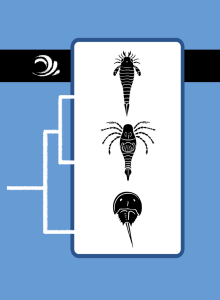 The clade of all crustaceans and insects is Pancrustacea (“all shelled ones”).